Jeanne Selander Miller’s journey as a writer has led from her summer home in New York’s Adirondack Mountains to the London Book Festival, where she received a 1st Place Award for her first book and to The Paris International Book Festival, where she received Honorable Mention for her second book. Jeanne has “lived several lifetimes”… and shares with us insights from each one. “If the only voices heard are the voices of the powerful, they will tell us what to think and how we feel. Who will speak for me or you? Please, for the sake of us all, please join the conversation. 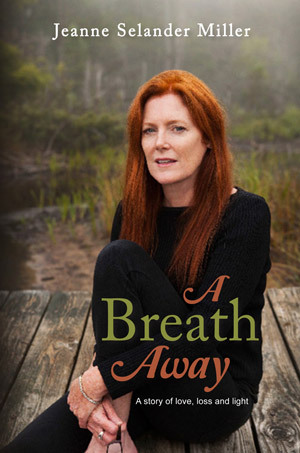 A Breath Away is the tragic, humorous and ultimately bright first book in a trilogy of memoirs. It takes us deep into the heart and spirit of a couple living a life of full-tilt love and laughter on the edge of eternity. Over the course of eight years, Jeanne’s husband, Fred, lost the physical fight with illness, even as the two of them triumphed in spirit. You will laugh, cry and be profoundly inspired. Check out and buy Indie Award-winning A Breath Away at Amazon. A Million Miles from Home finds Jeanne, years later, in a marriage as bad as her first was great. How does a smart person ignore warning signs and make choices that seem good at the time, but that also slowly land them in a destructive relationship? Writing about a dark period of her life – including a broken pelvis, uterine cancer, the discovery of infidelity and marital embezzlement – Jeanne takes us back home to our own hearts, the source of deeper knowing that can right our life’s course. 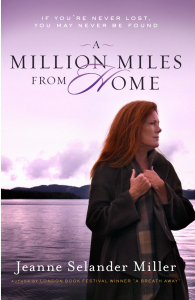 Check out and buy Indie Award-winning A Million Miles from Home at Amazon. The Healing Path Home. In the wake of a brutal divorce that stripped her of everything, Jeanne retreats to the Adirondack Mountains of upstate New York to heal her life. Amid the natural wonder and beauty, meeting sometimes quirky always delightful mountain people as new friends, she struggles and finally decides to take a huge risk – opening a gourmet organic-foods bistro in a fast-food-oriented tourist town. And in the reflective atmosphere of the wilderness, she begins to discover the path to a deeper happiness and peace – and you will, too. 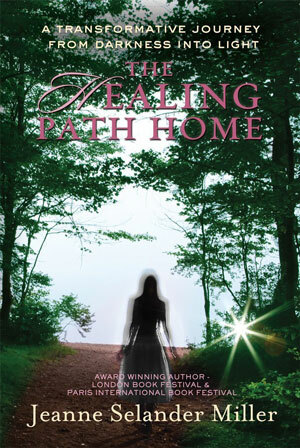 Check out and buy Indie Award-winning The Healing Path Home at Amazon. Discover your own heart’s wisdom… and heal your life.